Noise, a Gurgaon-based Tech company, has launched a new fitness band called ColorFit Pro in India. The fitness band comes in premium slim design and colorful LCD display, protected with anti-scratch Corning Gorilla glass 5. ColorFit Pro has all basic fitness activities tracker like step count, distance covered, sleep monitoring, heart rate monitoring as well as the new BP monitoring feature and SpO2 level sensor. The company claims that it has a highly accurate pedometer and can measure your Blood Pressure, SpO2 Level, Sleep Quality and Dynamic Heart Rate. It is also capable of continuous Heart Rate monitoring when paired with Da Fit app. With Pedometer you can track steps taken, distance traveled and calories burned. The sleep monitor provides hours and quality of sleep statistics. It supports notifications from third-party apps like Facebook, Twitter, WhatsApp, Skype, Instagram, others. Unlike many other fitness bands, ColorFit Pro has a square watch-like design, with thick bezels on all the sides. It comes with a bigger screen, a 1.22 inches Colorful IPS LCD display (240 x 240 resolution) for easy readability. The Watch face is customizable and can measure your calories burnt while walking, running, skipping, cycling, playing badminton, football and basketball. You can also enable calls, messages and other push notifications alerts. It comes with a remote camera control that lets you capture pictures. Connectivity features include Bluetooth 4.1 and packs a 150mAh battery with 12 days standby. 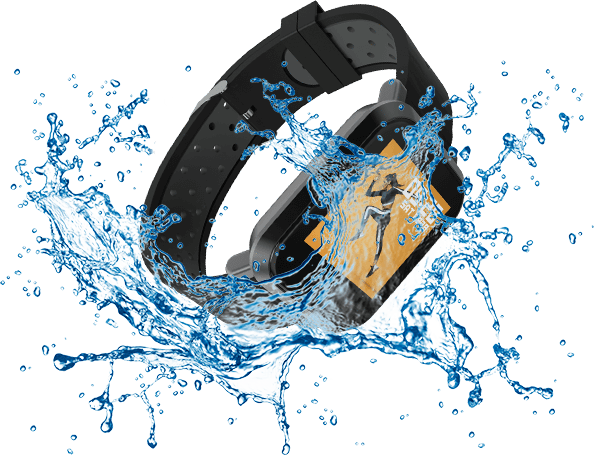 The fitness band comes along with detachable multiple color variant straps and has an IP68 waterproof rating. It is compatible with Android and iOS running Android 4.4/ iOS 9.0. The Noise ColorFit Pro fitness band price starts at Rs. 2,999 and comes in Blue, Black, and red colors. It will be available from gonoise.com, Amazon.in, Flipkart, Myntra and other leading marketplaces.